Motorola’s MC75A Series takes its place as one of the world’s premier EDAs, offering more enterprise-class features and functionality than any other device in its class. 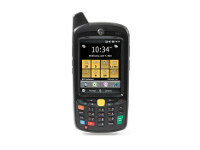 Turbocharged with many Motorola Mobility Architecture eXtension (MAX) features, the MC75A addresses top business mobility needs, offering maximum processing power, rugged design, flexibility in extending solution reach, data capture capabilities, connectivity options, security and manageability. Three models meet the needs of every worker: a WLAN-only model for workers inside the four walls; a WLAN model designed to meet the special needs in healthcare environments; and a 3.5G WWAN/WLAN model for your field workforce. Add a field proven ergonomic design that is easy-to-hold, easy-to-carry and easy-to-use, and you have maximum value in a minimum footprint — all at the right price. The MC75A offers the most robust processing platform in the EDA class today, from operating system to memory architecture, including Microsoft Windows Embedded Handheld; a PXA320 processor with 806 MHz of blazing speed; and 256MB RAM/1GB Flash with a user accessible microSD slot to accommodate up to 32GB of additional storage. As a result, the MC75A delivers consistent desktop-like performance, regardless of whether your applications incorporate high resolution video, documents and images or you need thick client applications. 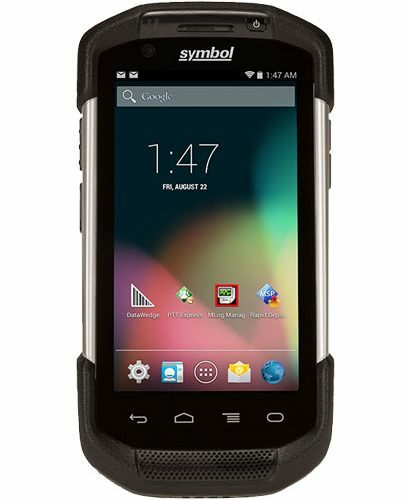 With Motorola MAX Rugged, you can count on reliable operation inside and outside the enterprise. The MC75A meets or exceeds MIL-STD 810G requirements for stress (drop) testing as well as IEC specifications for tumble and sealing. The MC75A can handle multiple 6 ft./1.6 m drops plus 1,000 consecutive 1.6 ft./.5 m tumbles (2,000 drops) — and still deliver dependable performance. The IP54 sealing rating enables use in dusty environments and exposure to rain or spills. The disinfectant-ready MC75A Series helps prevent the spread of germs to patients and caregivers in a hospital as well as shift workers in other industries who share devices. All models can be sanitized with many common cleansers, without harming the plastics or the sensitive scanning components. And with Hazardous Location certified models, you can easily extend the power of mobility to areas where flammable materials are present. The result? Fewer repairs and maximum uptime, providing a strong return on asset (ROA). The MC75A offers a level of flexibility that puts it in a class of its own, with a feature set that includes many Motorola-unique capabilities. The only EDA to offer five keypads. Numeric, QWERTY, DSD, AZERTY and QWERTZ keypads enable maximum data entry simplicity for virtually any application anywhere in the world. Enterprises can standardize on a single device for many different workgroups with different application needs, simplifying the mobility architecture as well as reducing training and support costs. Motorola Integrated Voice Solutions: unparalleled integrated voice interoperability. Inside the four walls, different workgroups often require different types of devices that run on different networks — from mobile computers and VoWLAN devices to two-way radios. The result is ‘islands of voice’ — the inability for cross-communications between device families. The MC75A eliminates this issue. 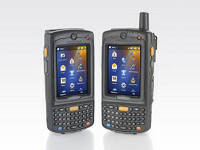 The integrated TEAM Express voice client enables push-to-talk instant communications with other TEAM Express-enabled Motorola mobile computers, TEAM smartphones and two-way radios (Radio Link Server required). With powerful and highly cost-effective one-to-one and one-to-many voice communications between all workers inside the four walls, the enterprise enjoys lightning fast response times, improved productivity and decision-making — as well as increased customer service, satisfaction and retention. Motorola MAX Locate for more robust location-based applications. Integrated aGPS/GPS technology opens up a world of possible location-based applications — including real-time navigation, better fleet management, the ability to geostamp a photo for proof of condition or capture coordinates for proof of delivery in transportation and logistics or proof of service for inspections and maintenance. The best-in-class implementation includes the SiRFstarIII GSC3f/LP GPS chipset for robust coverage even in challenging urban canyons and areas of dense foliage, providing more users with location-based services in more areas. And the low-power chipset delivers top-notch accuracy with minimal power requirements, conserving battery power. Enterprise-class motion sensing with Motorola MAX Sensor. MAX Sensor enables business-class implementation of one of the most popular consumer-style cellular phone technologies in the MC75A — the accelerometer. In addition to the typical ability to automatically switch between portrait and landscape display based on the orientation of the device, many additional features can be enabled in seconds, right out of the box. Power management features help ensure full shift battery power. For example, the device can automatically revert to sleep mode if movement is not detected in a specified period of time, or if the display is face down. The ability to detect and log drops helps increase worker accountability for device condition. And the open architecture allows enterprises to integrate the accelerometer data into customized applications that can help improve the safety of field service technicians working in remote areas and prevent device theft. MAX Data Capture for maximum business functionality. The MC75A captures virtually any type of data and performs almost any business function, streamlining and reducing errors in your business processes. As the inventor of bar code scanning, Motorola offers unparalleled 1D and 2D scanning technology. The SE950 scan engine provides best-in-class 1D bar code scanning performance, while the SE4500, Motorola’s revolutionary imager engine, delivers equally stunning performance on 1D and 2D bar codes. Two options provide the flexibility to address your unique bar code requirements. For 1D or 2D intensive applications and maximum reading distance, choose the SR4500-SR. For 1D and 2D intensive applications with smaller and high density bar codes, including those found on some driver’s licenses, choose the SR4500-DL. 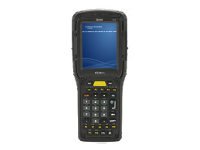 In addition, the SE4500 offers omni-directional scanning, eliminating the need to align bar code and scanner, and providing the intelligence to capture even damaged and poor quality bar codes. The integrated 3.2 megapixel autofocus color flash-enabled camera enables the easy capture of high-resolution photographs, video footage and documents — complete with legible fine print. The Magnetic Stripe Reader (MSR) and Mobile Payment Module (MPM) enable workers to process purchases virtually anywhere in the world — from the retail sales floor to the customer’s doorstep. Third party peripherals, such as an RFID reader, enable users to leverage RFID data to streamline and error-proof inventory and other workflows. 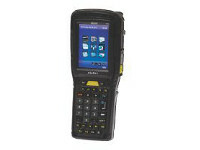 Motorola’s Bluetooth®-enabled RS507 Imager, worn on two fingers, provides hands-free scanning convenience. And a trigger handle allows workers to switch between handheld and industrial-style gun form factors in seconds, providing comfort for the most scan intensive tasks. With the MC75A, your workers hold the universe of wireless connectivity options in their hands. WWAN functionality provides a connection to the fastest available cellular networks. Support for 3.5G HSDPA or CDMA EVDO Rev A provides workers anywhere in the world with high-performance broadband speeds. Comprehensive 802.11a/b/g support provides a seamless cost-effective WLAN connection inside the four walls and in hot spots — and support for 802.11a allows the granular segmentation of voice traffic, ensuring quality of service for VoWLAN communications. Bluetooth provides a wireless connection to a wide range of Bluetooth-enabled peripherals, such as headsets and printers. Support for the latest Bluetooth technology — v2.1 with EDR — provides simple one-step easy pairing, improved security and reduced power consumption. And support for IrDA enables wireless communications with a wide range of existing business equipment — from medical equipment to fax machines. The Motorola MAX Secure feature set keeps your data safe and secure, regardless of whether the MC75A is connected to the WWAN or the WLAN. Native FIPS 140-2 Level 1 certification and support for the most advanced encryption and authentication algorithms as well as Virtual Private Networks (VPNs) provides the compliance required for government level applications as well as stringent industry regulations — including PCI in retail and HIPAA in healthcare. And Motorola’s deep knowledge of wireless infrastructure enables the integration of FIPS and other security requirements without the typical impact on WLAN performance. Rapid and cost-efficient application development. Motorola MAX MPA (Motorola Platform Architecture) provides an industry standard platform that enables easy integration into your existing technology environment. Since all Motorola mobile computers share this common platform, existing applications developed for other Motorola mobile computers can be ported effortlessly and seamlessly to the MC75A, enabling exceptionally rapid deployment and improving the return on investment for existing applications. Additionally, Motorola’s robust award winning partner channel provides access to a world of well-tested best-in-class line of business applications, further reducing application development time and costs. Another Motorola tool, PocketBrowser, is built on Pocket Internet Explorer and Internet Explorer, providing a familiar and easy-to-use environment that enables the simple and rapid development of applications that incorporate the wide range of advanced data capture capabilities integrated into the MC75A — from bar code scanning to signature capture. Comprehensive centralized tools for cost-effective day-to-day management. Compatibility with the Motorola Mobility Suite enables extraordinary centralized control of your MC75A devices. Motorola Mobility Services Platform (MSP) allows IT to remotely stage, provision, monitor and troubleshoot tens of thousands of devices inside and outside the four walls virtually anywhere in the world, all from a central location, radically reducing one of the largest costs associated with mobility — day-to-day management. Device-level intrusion protection and Mobile Virtual Private Network (VPN) solutions allow the addition of extra layers of security to protect data that is resident on the device and in transit to and from the MC75A and your network. And AppCenter allows enterprises to easily define which features and software applications users can access, preventing unauthorized device usage that could reduce productivity. Motorola’s award-winning partner ecosystem offers a best-in-class, broad set of ready-to-go and custom applications for a wide variety of industries, minimizing deployment time and cost. And since even rugged devices require a support plan, Motorola offers Service from the Start with Comprehensive Coverage to help keep your MC75A up and running at peak performance. This unique all-inclusive service significantly reduces your unforeseen repair expenses by covering normal wear and tear as well as internal and external components damaged through accidental breakage — all at no additional charge. And options such as Commissioning Service and Express Shipping help to further minimize downtime in the unlikely event your device requires repair. Multiple 6 ft./1.6 m drops, per MIL-STD 810 specifications. Outdoor WAN+GPS: 15 min/hour voice communication, 10kB transmission every 10 min, and GPS on all time, 8 hours of operation.Outdoor Voice: 15 min/hour voice communication, 8 hours of operation, and 75 hours standby time. The MC75A Series is warranted against defects in workmanship and materials for a period of 12 months from date of shipment, provided that the product remains unmodified and is operated under normal and proper conditions. The MC75A Series is a true global product that is supported in all industrial countries. Please visit www.motorola.com for a complete list of supported countries. Do not apply liquid directly to the MC75A Series. Dampen a soft cloth or use pre-moistened wipes. Do not wrap the device in the cloth or wipe, but gently wipe the unit. Be careful not to let liquid pool around the display window or other places. Allow the unit to air dry before use. Many vinyl gloves contain phthalate additives which are often not recommended for medical use and are known to be harmful to the housing of the MC75A Series. The MC75A Series should not be handled while wearing vinyl gloves containing phthalates, or before hands are washed to remove contaminant residue after gloves are removed. If products containing any of the harmful ingredients listed above are used prior to handling the MC75A Series, such as hand sanitizers that contain ethanolamine, hands must be completely dry before handling the MC75A Series to prevent damage to the plastics.